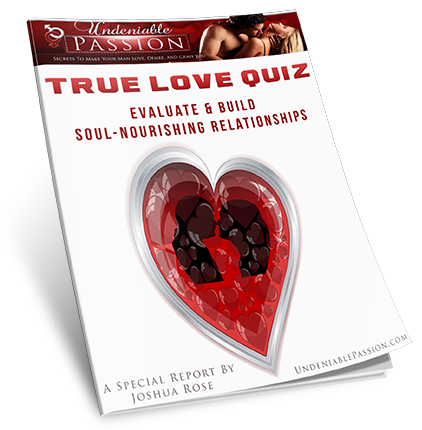 Get Our FREE True Love Quiz And Enjoy The Passionate Relationship You Deserve! 20 Yes/No questions about your relationship which will reveal if it is doomed from the start, primed for more passion than you’ve ever experienced before, or anywhere in between. The 7 personality traits that the worlds most desired women all share… And how you can bring these features out in yourself in just minutes! A secret resource that will help you enjoy the passion, romance, and fun you’ve always wanted. And live the rest of your life in the most loving relationship you could ever imagine. We respect your privacy and will never share your personal info.